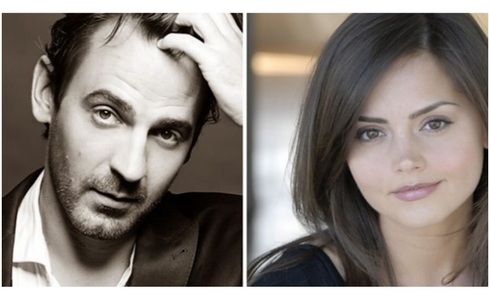 Jenna Coleman (Victoria, Doctor Who) and Ewen Leslie (Safe Harbour, Top of the Lake) are set to star in The Cry, a four-part thrilling, psychological BBC One drama written by Jacquelin Perske, adapted from the novel by Helen FitzGerald. Ewen Leslie adds: “From Helen FitzGerald’s addictive and exciting novel, to Jacquelin Perske’s beautifully written scripts, I’m absolutely thrilled to be a part of the amazing team that has been formed to bring these complicated characters and thrilling story to the screen. Synchronicity Films have a great track record in producing high quality drama and Glendyn Ivin is without a doubt one of the most exciting directors working today. I’m over the moon that they’ve asked me to join this amazing project. Joanna (Coleman) and her husband Alistair (Leslie) deal with unthinkable tragedy under the white light of public scrutiny and in their private lives when their newborn baby is abducted from a small coastal town in Australia - changing their lives and their marriage forever. It is the catalyst for a journey into the disintegrating psychology of a young woman, exposing the myths and truths of motherhood. The Cry is a 4x60’ drama written by Jacquelin Perske. The drama will be produced by Brian Kaczynski and Executive Produced by Claire Mundell for Synchronicity Films and Elizabeth Kilgarriff and Gaynor Holmes for BBC One. The Cry will be shot in and around Melbourne and Glasgow with the support of Film Victoria, Creative Scotland and Great Point Media. DRG hold the distribution rights.